Are you looking for a car holder for your Smart phone with FM transmitter ?? You should read this review on Go Groove Flex Smart SP car holder with in built FM transmitter, hands free calling. This Car cradle is not a regular car holder, since it comes with built in FM transmitter to enjoy music on your car radio which doesn't support Aux Port or USB port. It comes in a nice package with Holder itself, Aux Cable (3.5 mm jack on both the sides), USB to mini USB cable, USB to micro USB cable to power up your Smart Phones. It has a very nice design considering the multiple inbuilt functionality. 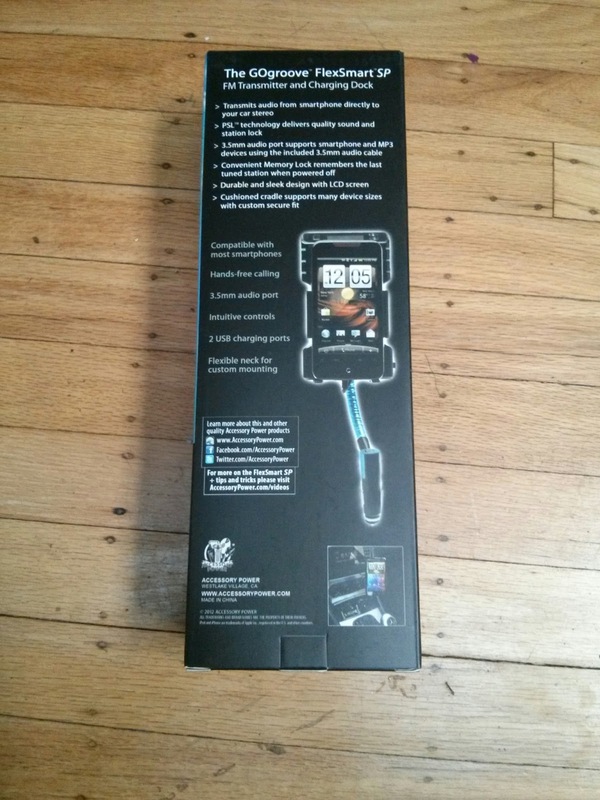 It holds you phone on a single flexi Bar which fits right in to your Car DC Port. 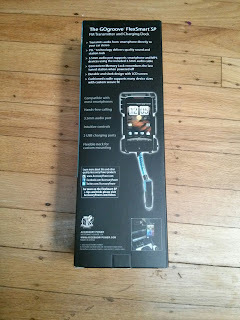 So you dont need to have a separate DC power cable to the either the FM Transmitter or the Smart Phone itself. It has a nice USB port near the FM Transmitter so that you can power up your Smart Phone with a small Cable rather than a regular USB cable. 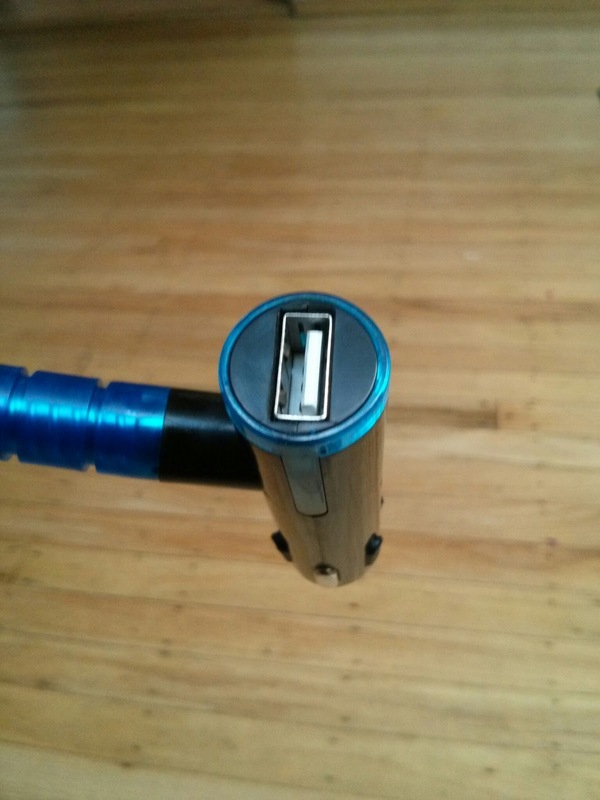 It also has a USB port to power up additional devices if needed. 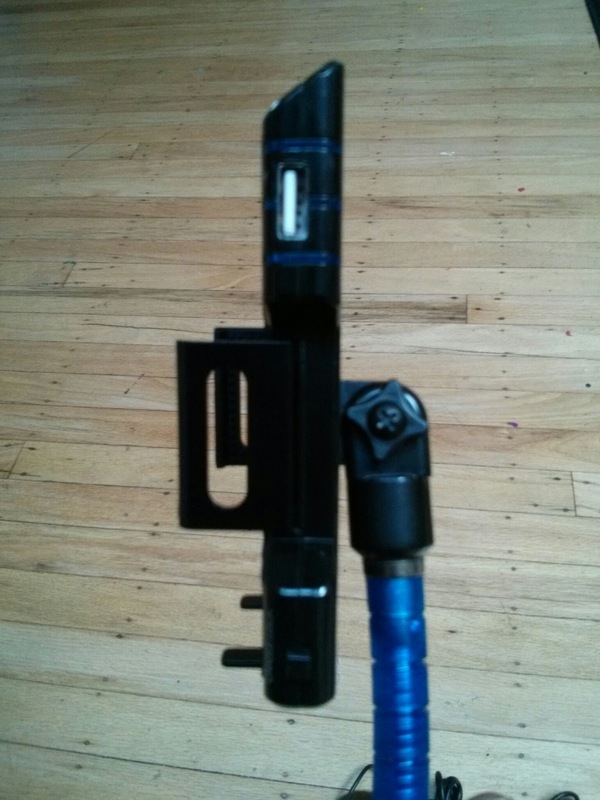 It has a Aux port which you connect to the Phone to receive the Audio from your Smart Phone. Over all the Go Groove Flex Smart is designed to reduce the cables running on your car dash board to listen your favorite music, which is really a plus.Its a complete integrated system which avoid cable usage drastically, otherwise it will be a irritating thing to have cables running (Power Cable for FM Transmitter, Power Cable for the Smart Phone,Aux Cable) every where. Go Groove has a solid build to hold your phone firmly and it has a nice grip on the holder part as well. Even though the plastic looks cheap in the photos, its actually a good quality plastic and nicely moulded as a Car Holder. Flexible Bar on the blue Color looks pretty well on the design and its colorful as well. I was expecting a decent quality on the Songs via FM transmission and to be Frank I was not expecting a quality on the Hands free calling. But to my surprise both of them was good and especially Hand Free calling was really noise free and I am able to comfortably have long conversation over the Hand free calling. Switching over the Music and Hands free calling was seamless, quick and easy. Once you get a call it switches to Hand free mode automatically and all you need to do is pick the call and continue your conversation completely hand free. 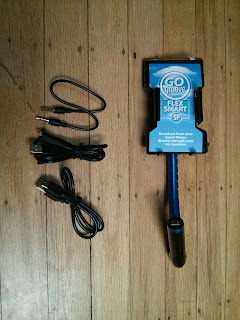 Go Groove Flex Smart has a in built mic to receive your voice and you will hear the response over your car radio. It switches back to the Music automatically once the call is ended. Does it hold your Phone really well ?? This is the area which Go Groove failed completely and I was highly dis appointed. Even though the DC port adapter comes with extra large bushes to support the phone well,its not sufficient enough to hold the phone firmly. Since the whole weight of the phone resides on a single point , there were lot of shakes and tilts. Especially on a city drive with turns, it doesn't hold the phone at all. 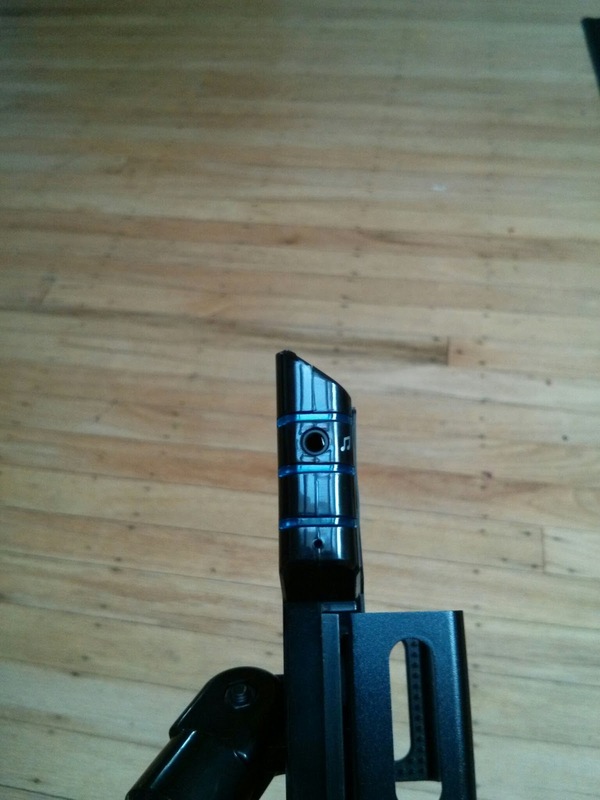 the Complete Holder slips to the left or right based on the direction you turn. It became a trouble to watch out the holder and drive. It was not holding the phone as a regular Car Holder which either attached to the AC unit or the windshield. We have made a little video to give you guys a perspective of how exactly it is when you drive with the Go Groove Flex Smart with a Phone. 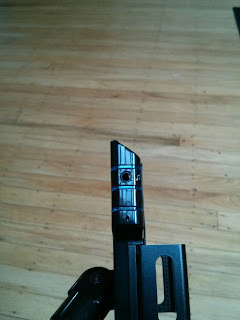 Take a look at the video and you will see the Holder slipped down couple of times within 15 mins drive. It was ok to some extend on the Freeways, but definitely not recommended for City Drive. 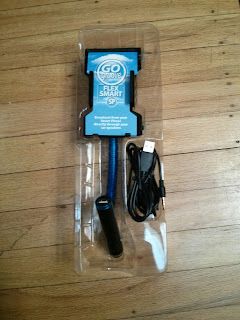 The problem is not with Go Groove Flex Smart, but might be with any holder which fits into the DC port on your Car. Unless regular Car Holder, these type holder doesn't have multi point support, but just just one which goes into the DC Port. 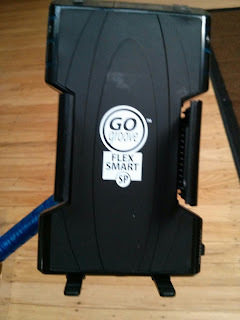 Go Groove Flex Smart Car holder has a nice Design to reduce the cable usage, excellent Hand free calling feature and good FM transmission functionality, but lacks the whole purpose of holding the phone firmly during Drive. If you are a going to use this on a City Drive with regular turns, then think multiple times before going for this. 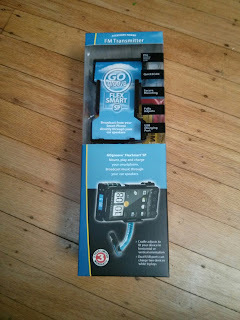 We would recommend regular firm holder and a separate FM transmitter for you. Please leave your comments and suggestions below in the comments section.